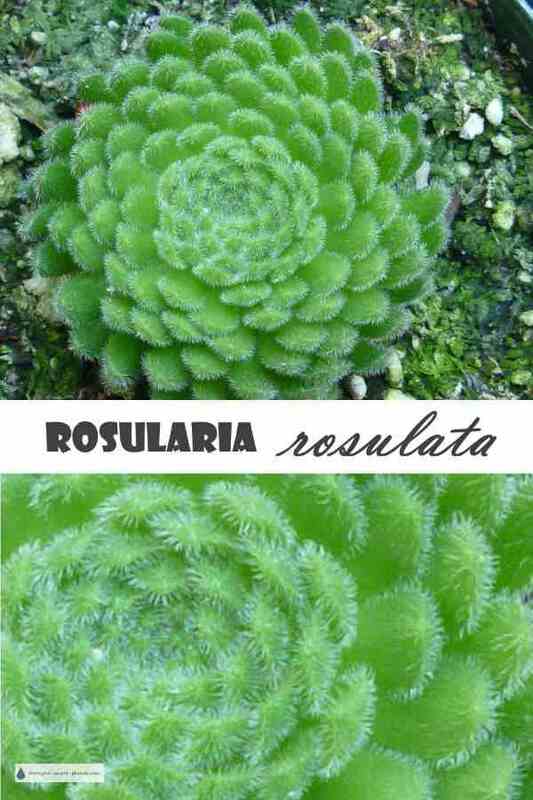 Rosularia rosulata is another one of those rare hardy succulents that once seen always coveted. 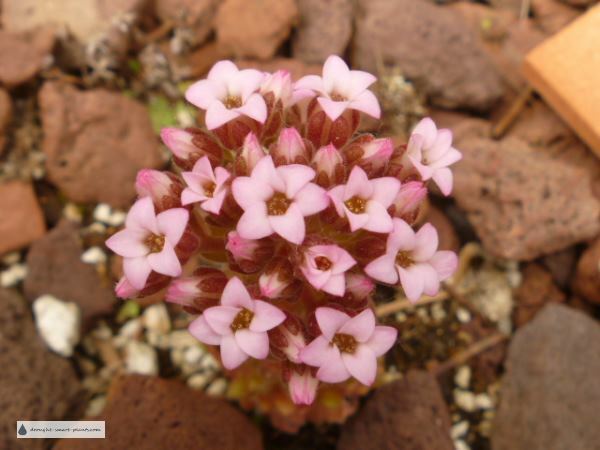 I’ve tried to find this one everywhere, and finally when I saw seeds in the seed list from the Alpine Plant Club of B.C. I had to have it. Luckily, I got my name in early, as they were out of the whole range very quickly. Even though there were a good number of seeds in the package, I felt fortunate to get four tiny seedlings out of them. They are very slow growing, but as you see from the picture, extremely intricate. The fuzzy edges are not even visible without magnification, and the arrangement of the spiraling leaves is exquisite. Sadly, every one of the tiny seedlings that I grew have gone straight into blooming, so I'll be saving seed to get some more going; it's unknown if this is a clump forming plant, or if it strictly reseeds to form colonies. Rosularia rosulata is only one of several other Rosularia species, including Rosularia chrysantha, Rosularia rechingeri, and Rosularia sempervivoides. I highly recommend these for trough gardens, pocket gardens and rock retaining walls, planted with succulents such as some of the tiny Sempervivum arachnoideum and alpine plants. Update: October 2012; I didn't save any of the seeds, but I did notice that there were some microscopic seedlings in the area where these plants grew - I wonder if they have reseeded themselves, without any help from me?